Woodland Community Services Department uses Rec1 for online registration. Use your Facebook or Google account to login or create your account. We only access your name and email for login purposes. Individuals renting the building must be 18 years or older and 21 years or older if alcohol is being served. A photo ID with the applicant's address and birth date must be submitted at the time of the application for reservation. Fees will be charged based on the address on the license, unless further documentation of address is presented (utility bill or property tax bill with person's name and address). Commercial events or those open to the public, Woodland Community & Senior Center must be named on all printed materials regarding the event. Our name must be spelled out in full: Woodland Community & Senior Center. The correct address is: 2001 East Street, Woodland, CA 95776. Camera ready copy, logo and map are available upon request. Monday-Friday, events can begin as early as 8:00 a.m. and end by 10:00 p.m. with personal and rental equipment removed from the facility by 11:00 p.m. Outside Activities on the patio must end by 10 p.m. (this includes clean-up time). Saturday events can begin as early as 8:00 a.m. and must end by 11:00 p.m. with personal and rental equipment removed from the facility by 12:00 a.m. Outside Activities on the patio must end by 10 p.m. (this includes clean-up time). If the event goes beyond the scheduled hours or there is any damage to the facility or equipment used, charges will be billed at the applicable rate. Smoking is not allowed within the facility or on the grounds. For caterer's services, Renters must select from the Center’s Registered Catering List. In the event of an emergency such as power outage, natural disasters, etc., the City will not be held responsible for interruption of an event. The City reserves the right to cancel a scheduled event without notice or liability. Refunds will be made if cancellation is necessary. The individual or group reserving the facility assumes full responsibility for the conduct of the guests at their function. Fights, vandalism, or destructive behaviors are grounds for immediate cancellation of the contract (and all future contracts). The party will be asked to leave the facility immediately. In such cases all fees and deposits will be forfeited. There is no refund of unused reservation time or equipment. Parking availability is not guaranteed and may be limited due to other scheduled events. Under no circumstances shall the Renter sublease or allow any other organization or individual to use the facility during the contracted time. Thermostat at City buildings will be set at 78 degrees during warm weather and 68 degrees during cold weather. Thermostats will not be adjusted. All outside doors must remain closed at all times. City staff may photograph or video tape you and/or your minor children and the City may use such materials to promote City programs. All material will remain the property of the City. Rental Fees are due in full 30 days before event. Deposits are due at time of reservation. No reservation request will be held for more than 7 days. Be responsible to check and clean facilities and ball field area before the event. Ensure facility is set up to the request of GROUP, as provided prior to event date. Notify GROUP in a timely manner of any scheduling conflicts, field hazards, or field condition changes that may arise after contract has been signed. Be aware of the risks and injuries involved with sports on the sports field and of the potential hazards and dangerous areas within the facility. Be available for CITY staff for any questions, clarification, or assistance. Provide CITY personnel with schedule times, set-up requests, or any vendors present for event. Bring attention to CITY personnel of any hazardous or damaged area within the facility. Maintain control of participants and spectators and enforce CITY rules and regulations for the ball field’s facility and meet policies. Maintain Insurance coverage for all participants. This agreement shall commence on the date of permit and will carry forward in full force and effect until the last date of permit, unless terminated by either party in accordance with the provisions set forth in the paragraph below. The CITY may, in its sole discretion, terminate GROUP’S use of CITY facilities provided; the CITY shall first give GROUP 15 day’s written notice. CITY shall refund unused fees, excluding the earnest money agreement. Similarly, GROUP may terminate the agreement by providing the CITY 15 day’s written notice, provided that no termination by GROUP shall be effective prior to rendition of ball field’s use. In the event GROUP has a remaining balance of paid facility fees, the CITY shall forward payment balance to GROUP. 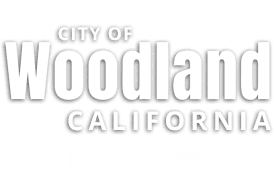 CITY makes no warranty regarding the condition of the Woodland Baseball/Softball/Soccer Facilities and adjacent facilities. CITY shall maintain the facilities consistent with the CITY policy and governing law. CITY will inspect the facilities prior to each season, and the GROUP must immediately notify CITY of any defective condition. CITY shall repair the defective condition as soon as reasonably possible to permit continued use. In the event negligent GROUP members cause the defective condition, meet participants or spectators, GROUP shall reimburse CITY for costs incurred in correcting or repairing the defective condition.